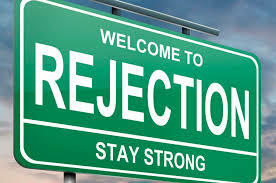 Don’t tell candidates they have been rejected until you are absolutely sure that you don’t want them. We recently had an instance where a solicitors firm interviewed three or four different solicitors for a role, which was relatively well paid and required a particular level of expertise. The partners saw four candidates at interview and made a decision after the interviews to recruit one of these. So the employer was left with just one potential candidate for their role, because they had turned down the other three. The candidate who was left seemed delighted that the firm had offered them the job, but was most apologetic that unfortunately in the meantime they had accepted a role elsewhere and, as a result were no longer available to take up the role the firm had offered them. This meant that the firm had spent well over 4 hours interviewing four candidates, and had shot themselves in the foot by instantly rejecting three of the candidates without actually realising that the fourth candidate was not going to accept the post. So what happened next? Well the law firm asked us to undo the damage they had done by telling the three rejected candidates they were no good, and to offer one of those candidates the job. Cue a puzzled telephone call from the candidate who had been informed that they were no good one minute, only to discover that actually they were okay the next minute, and to express doubt that they were the right person to work at the firm if the partners had no confidence in their abilities. So instead of having a set of candidates already interviewed, some of whom were suitable for the role and back-ups available if the first or second options decided not to go ahead. The firm had three slightly annoyed candidates who had all been rejected, one apologetic candidate who couldn’t take the role because they’d already accepted elsewhere, and the firm having to backtrack on their original feedback to one of the candidates to say that they were unsuitable for the role they had been interviewed for. 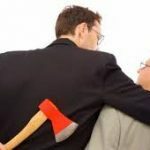 That first email or correspondence was clearly untrue because as soon as the firm found at that the first candidate was not available they immediately went to another rejected candidate to offer them the job. These are not the actions of a law firm who did not think the second candidate was suitable, and it is entirely understandable that the second candidate was then highly confused as to whether or not they were the person to take the job. In the end the second candidate did accept the job but it took a lot of input from us to persuade them that they were suitable for it and the firm in question had just made a terrible mistake by sending the feedback they had. All so easily avoided – think before your reject candidates because you never know what might happen if you do not get an acceptance from your preferred candidate.